There is a high rate of asymptomatic patients whose underlying heart conditions go undetected and gaps in the healthcare system continue to prevent such detection. As an Accredited Center Of Excellence, we train you to work with primary care providers and area employers to better identify at-risk patients for referral to our specialized early detection program. There is a widespread knowledge gap that prevents primary care providers from making referrals for the early detection of CAD. This causes far too many patients’ heart conditions to go undetected. For 50% of patients worldwide, the very first symptom of CAD is myocardial infarction or death. 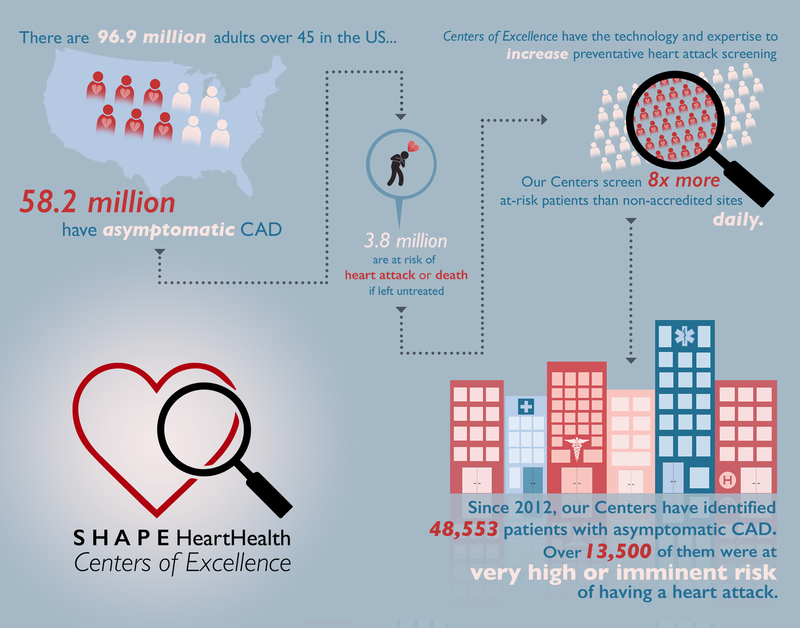 As a Center of Excellence, your team will be trained to better identify asymptomatic patients who need to be screened for risk of heart disease. We will train your team of primary care providers on how to use the most up to date technologies in preventive cardiovascular care.